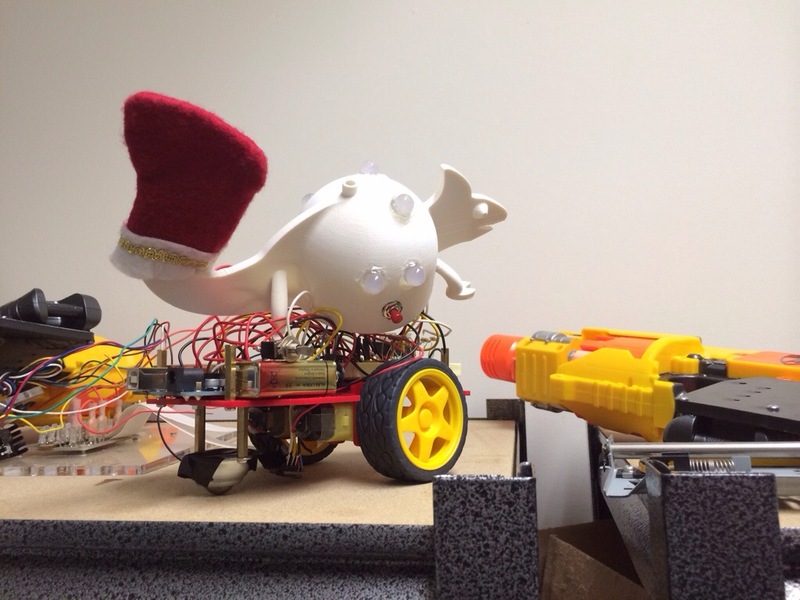 Our mechatronics platform is called PIC-a-Color ChameLeon, or Leon for short. Leon imitates a chameleon in nature by changing his color in order to match his surroundings and fool predators. Leon has two DC motors that allow him to move around in addition to a color sensor and LEDs that allow him to sense and display colors. His phototransistor and push-buttons enable him to sense imminent danger. His body is 3D printed out of ABS plastic, and it is mounted on a basic chassis powered by his motors. Leon is programmed and controlled via an Arduino Uno.